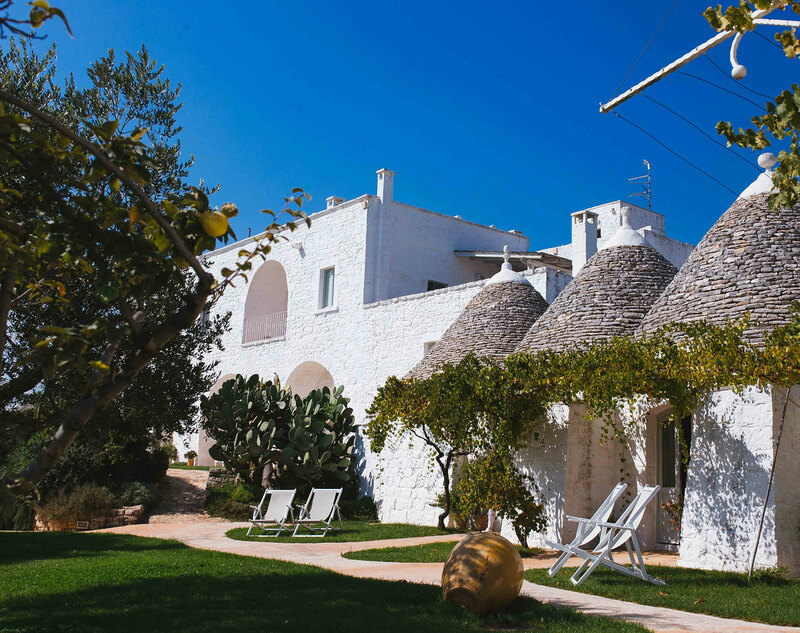 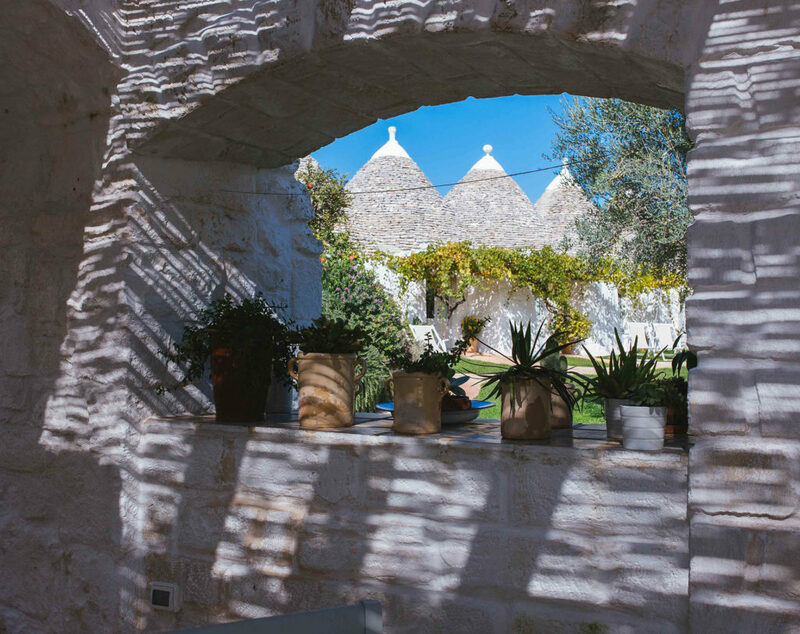 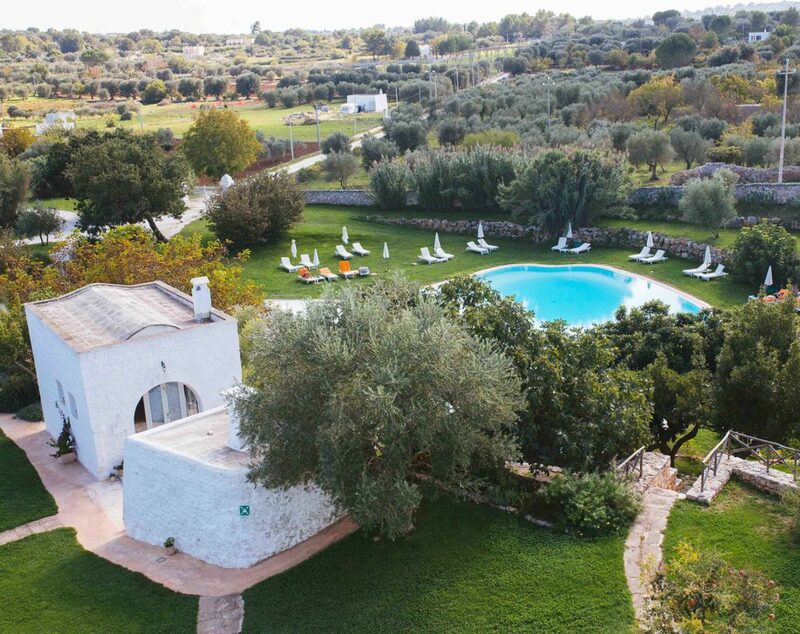 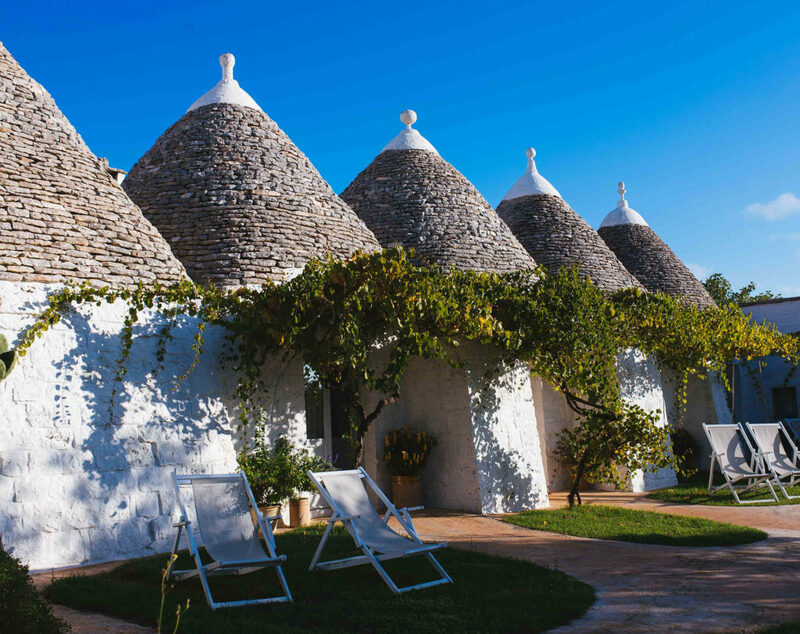 Masseria Cervarolo is a farm with trulli (typical Apulian rural houses) built in the XVI century. 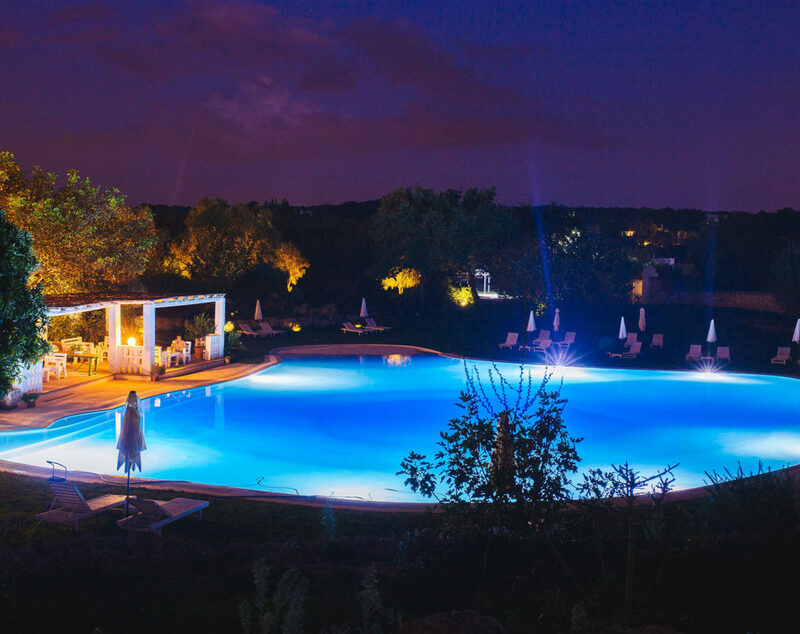 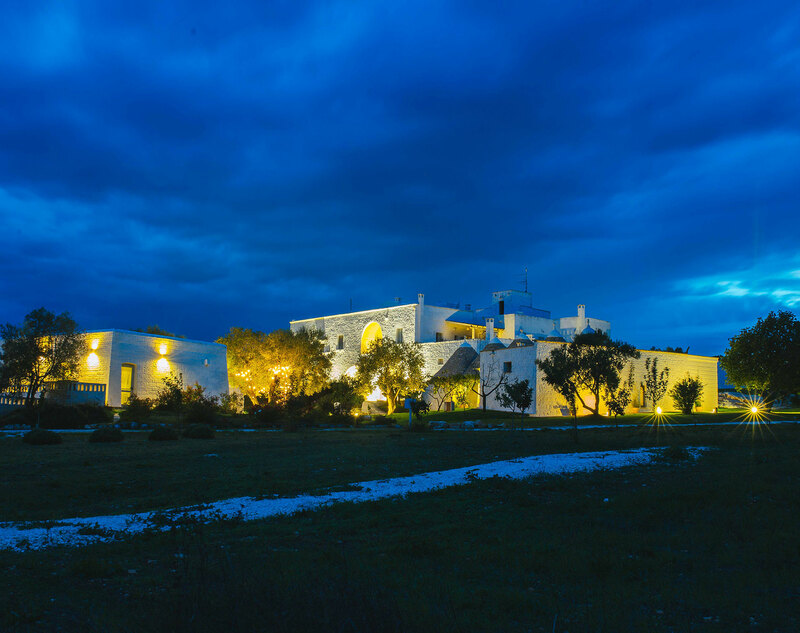 It stands on a 250 meters hillock that dominates a large and fertile plain, just 6 km away from the town of Ostuni. 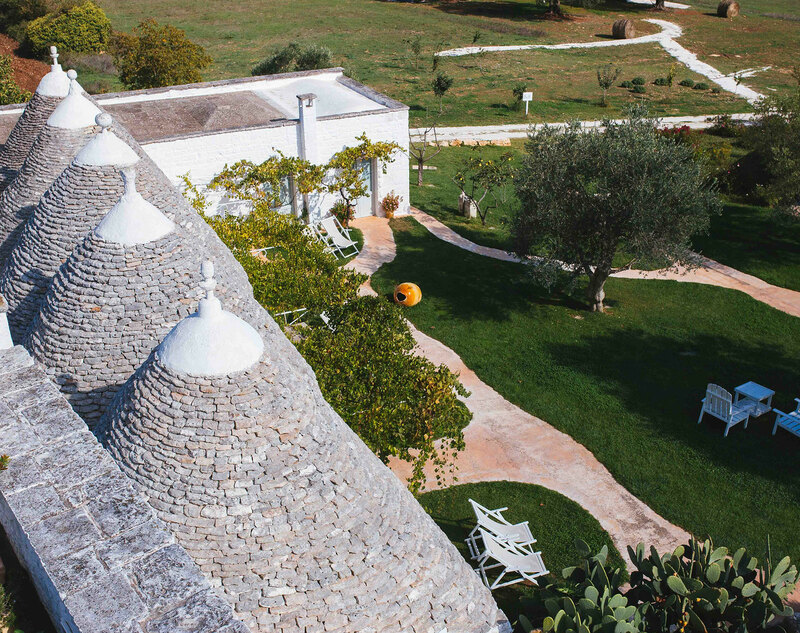 Throughout the centuries, several parts of the Masseria have changed their look and purpose in order to favour the different cultivations and activities that took place in the farm. The toponym “Cervarolo” derives from the presence of deer in the area, once characterised by dense forests. A small church, dedicated to Our Lady Of Sorrow Virgin Mary (1798) is annexed to the Masseria. 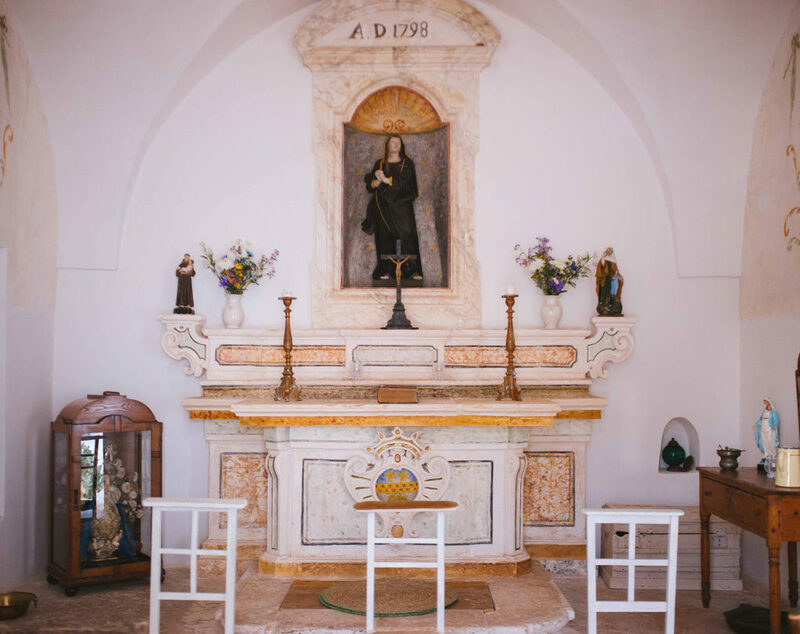 It is characterised by a wonderful polychromatic baroque altar and several frescos. As the presence of numerous written prayers testifies, this church was a very important place of adoration. 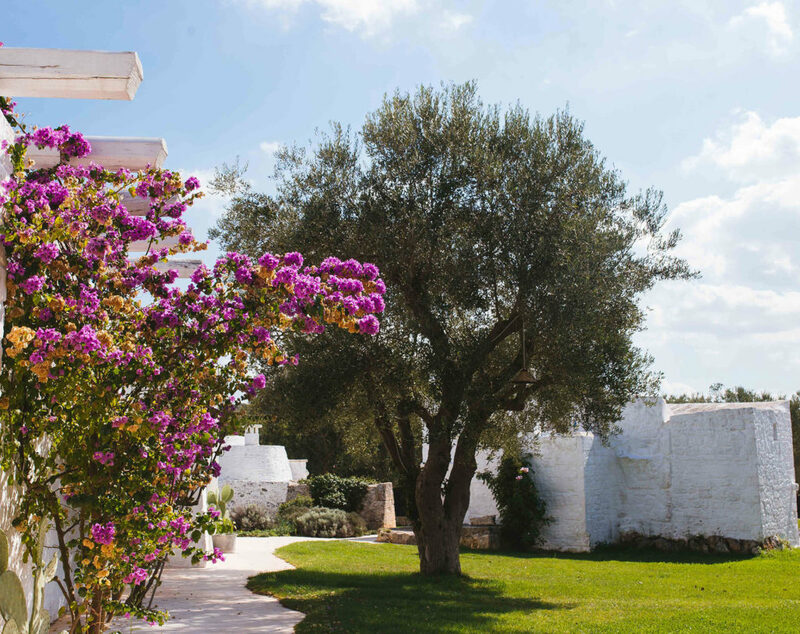 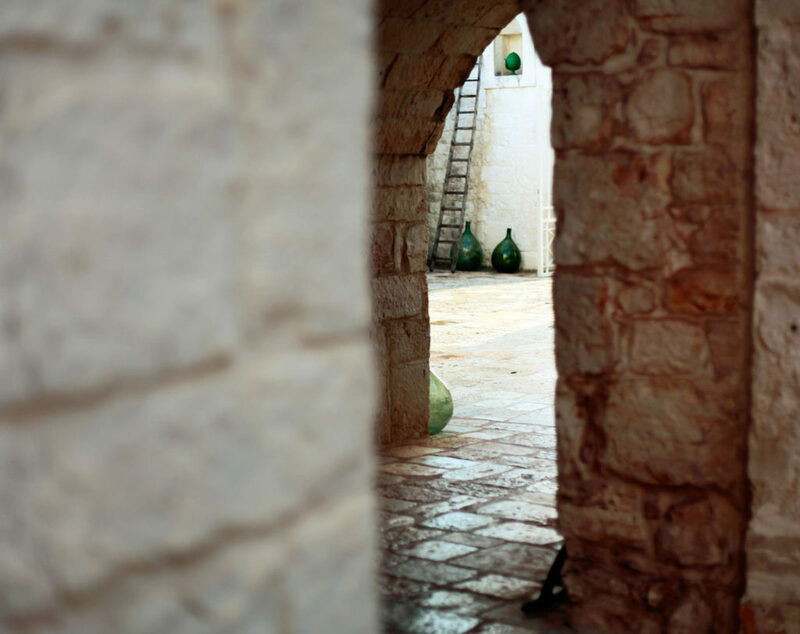 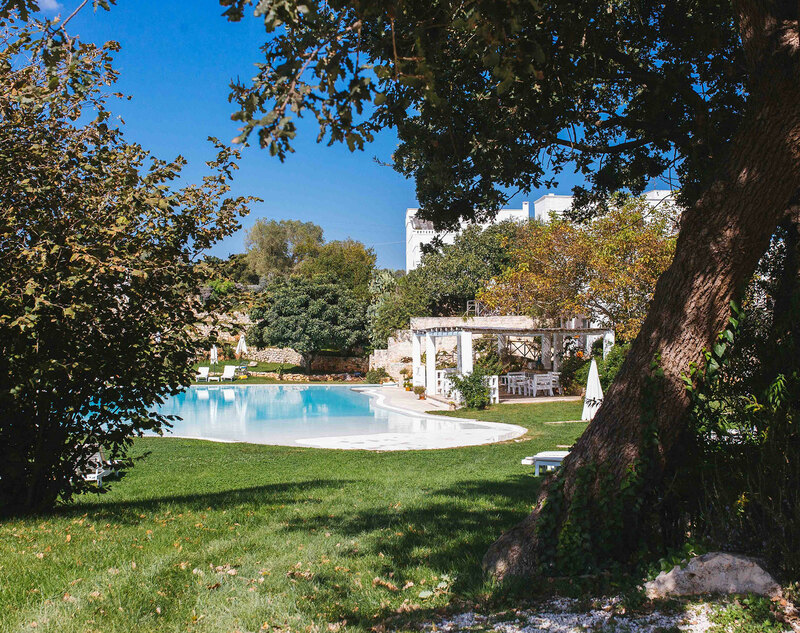 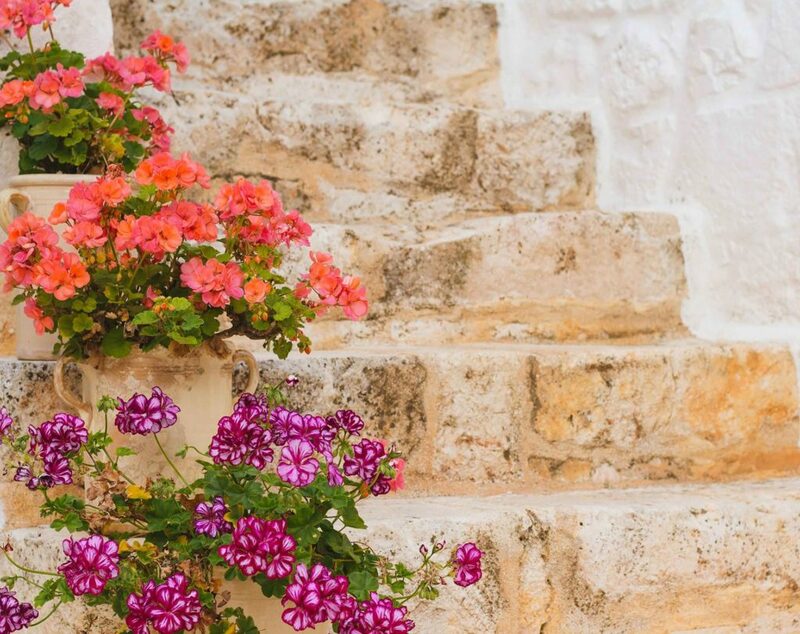 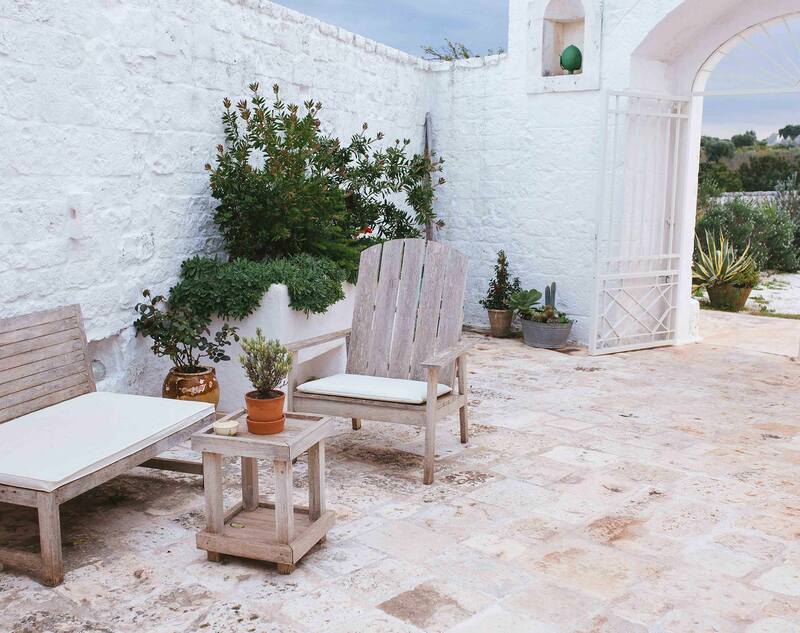 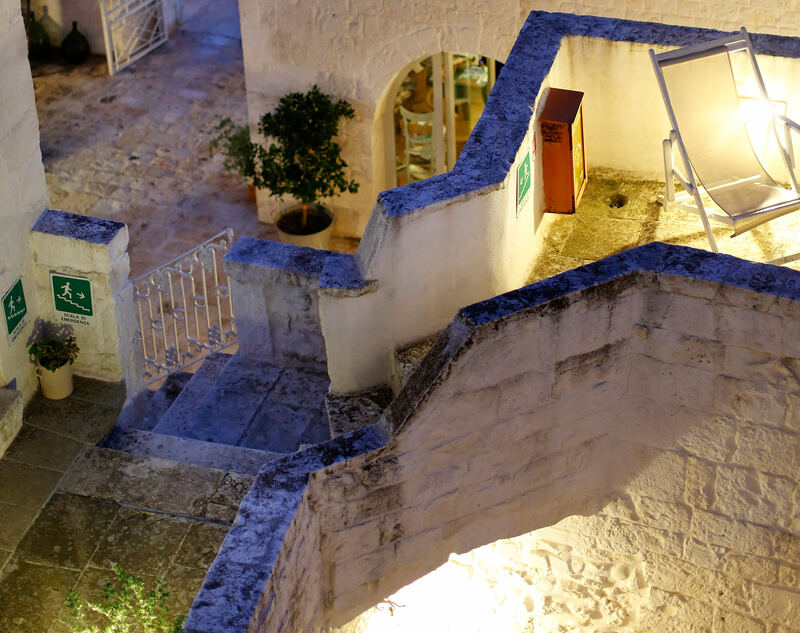 All the legends related to Masseria Cervarolo made this place a destination for those pilgrims who were looking for serenity and interior peace. 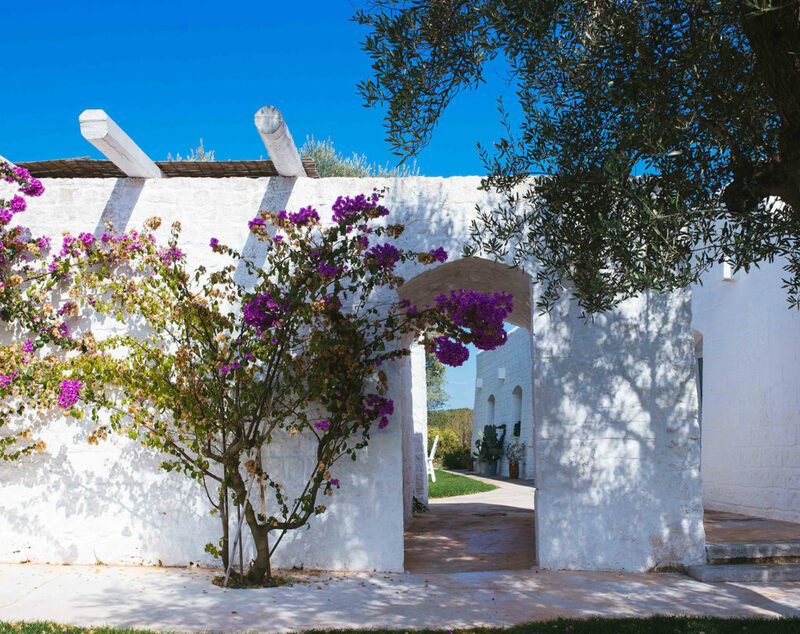 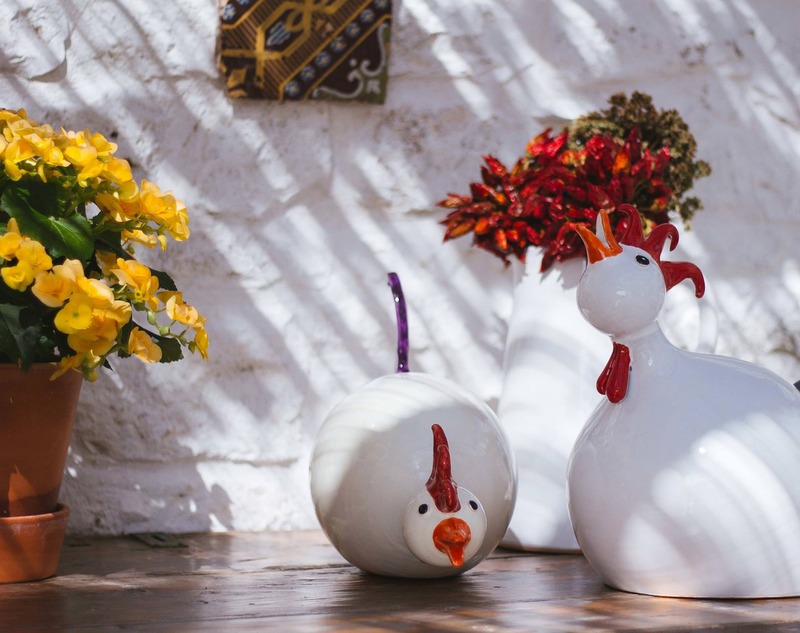 It is also said that, in the area of the Masseria, spring comes some weeks in advance and the farmers living in the surrounding area adapt their agricultural activity to this phenomenon. 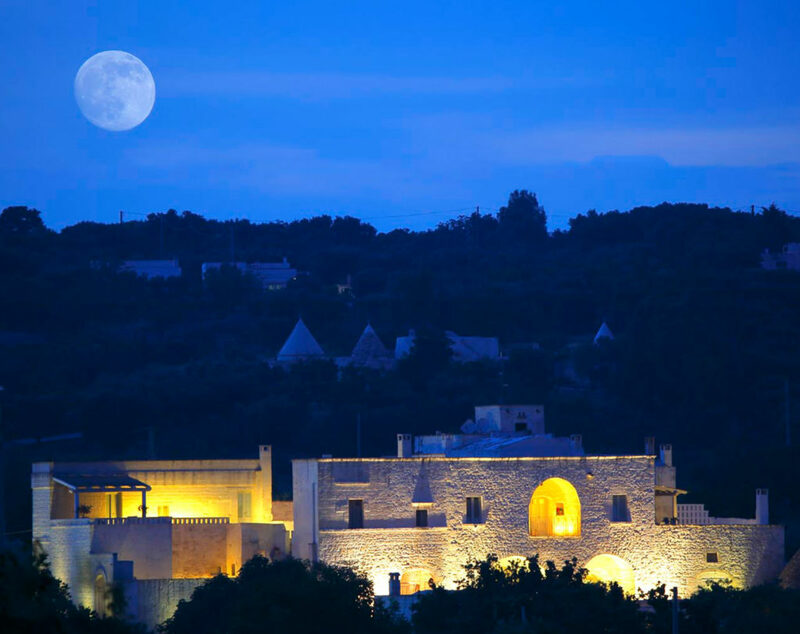 The restoration works, which lasted for 5 years, were carried out with the aim to respect and preserve the original building. 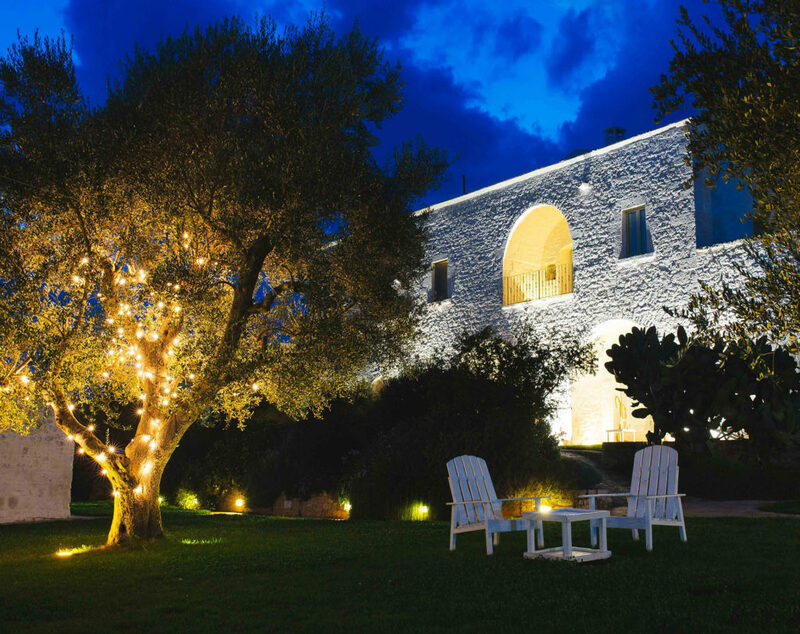 We created an amazing and elegant countryside house where our family looks forward to hosting you.